A new wave of television shows and movies are making their way to Netflix. Starting June 1, a couple of newer Pokémon items are also joining the streaming service. You will get to watch the latest feature film, Pokémon the Movie: Hoopa and the Clash of Ages. 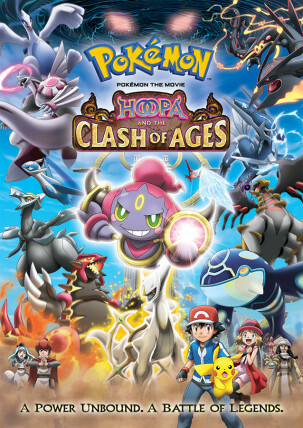 It stars Ash and friends as they meet a mischievous new Pokémon, Hoopa, and try to help it contain its massive power. Along with the movie comes the second season of Pokémon: XY: Kalos Quest. Ash, Clemont, Serena, and Bonnie continue their adventure discovering new Pokémon, abilities, Mega Evolutions, friendships and more. You can catch up with the latest in the animated series at the beginning of the month.